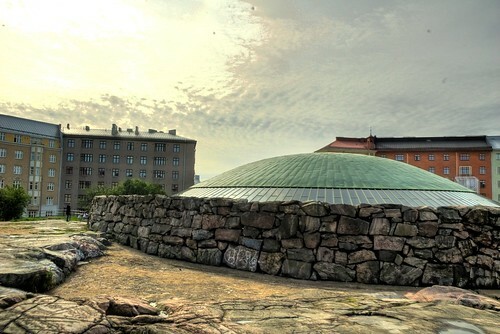 This flying saucer shaped building is actually Temppeliaukio Kirkko (Church in the Rock), Helsinki. 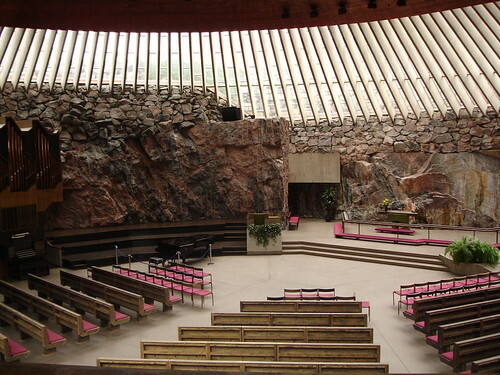 The church opened in 1969 and was designed by architect brothers Timo and Tuomo Suomalainen. 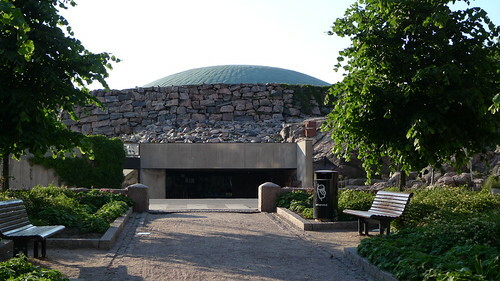 It is built entirely underground inside an outcrop of enormous block of granite rock. 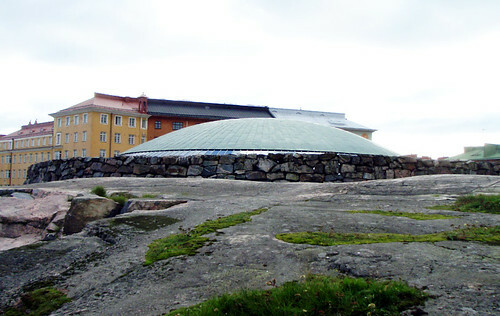 The only part of the church visible from ground level is the domed ceiling made of copper wire and glass.